When I was a boy growing up in China, a 7.8-magnitude earthquake near the city of Tangshan killed more than 242,000 people and severely injured 170,000 more. More than 7,000 families perished entirely. It was the deadliest quake of the 20th century. The quake left an imprint on me and my generation that is perhaps as profound and indelible as Sept. 11 is on today’s generation. It encouraged me to become a geophysicist and to seek to understand the fundamental physics of earthquakes. People who live in areas of high seismic hazard must be educated about earthquake preparedness. 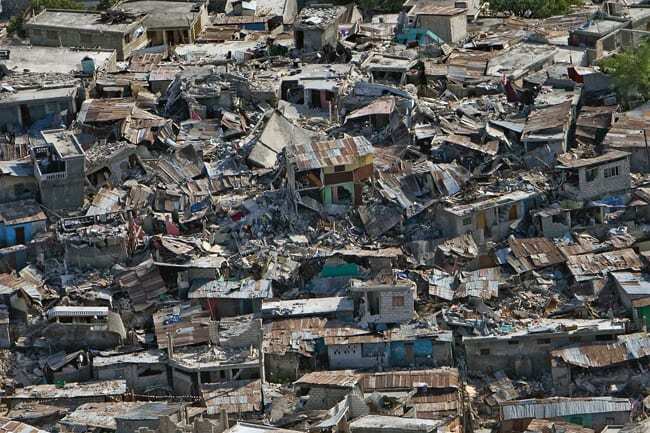 While the earthquake in Chile on Feb. 27, 2010, released 500 times more energy than the previous month’s quake near Port-au-Prince, the death toll and devastation in Haiti was 200 times worse because, as a very poor nation, Haiti does not mandate building codes, and its structures are inadequately built. Furthermore, unlike in Chile, which has frequently felt earthquakes, Haiti experienced its last major quake 240 years ago. It affected long-gone ancestors but had dimmed in the memory of their descendants. Our research, and that of other scientists, has shown that Haiti faces a precarious seismic situation. The island is cut by the Enriquillo fault, the border between two of Earth’s tectonic plates. The southern part of Haiti is on the Caribbean Plate, moving generally eastward; the northern part is on the Gonave Microplate, moving generally westward. The plates are moving at a rate of only a few millimeters a year—less than the length that the nail on your pinkie finger grows in a year. But over 240 years, those millimeters add up to meters. That builds up enormous stress along the fault, which is essentially stuck. When the stress builds up sufficiently, parts of the fault rupture suddenly to release the stress. We know the release of a 240-year buildup of stress caused the catastrophic 7.0 earthquake that killed some 230,000 people in Haiti and destroyed much of the capital city of Port-au-Prince. But the area of stress released by the fault rupture in that quake was restricted to only a 35- to 50-kilometer-long segment of the Enriquillo fault. While the Jan. 12 earthquake alleviated stress along this segment of the fault, we have learned from our studies of this and similar faults elsewhere in the world that this quake also increased the stresses along adjacent segments of the fault. 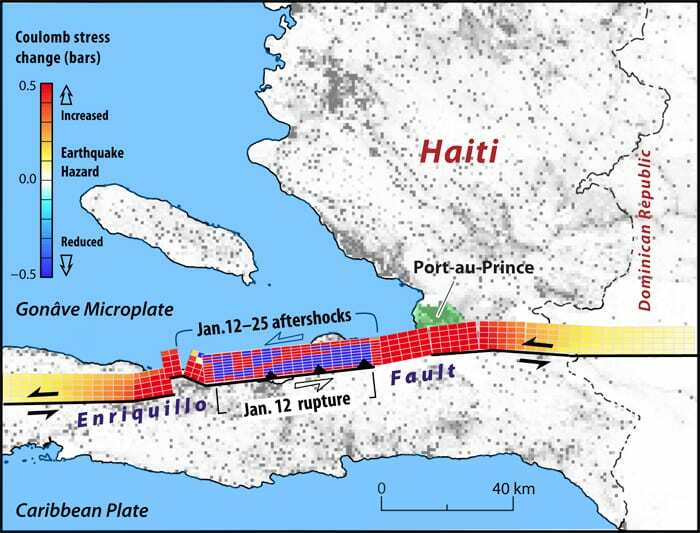 One of those segments, just to the east of the rupture zone, is even closer to Port-au-Prince than the January rupture. Whether the next major quake on this fault segment abutting Port-au-Prince will happen in the next year or 10 years or 50 years, we cannot say for sure, but the chances of another major quake within our lifetimes is real. Such an occurrence would not be unprecedented. Historical records show us that large earthquakes often come in clusters. Two large and possibly adjacent earthquakes occurred in this part of Haiti only 19 years apart in 1751 and 1770. If earthquake history has taught us any lessons, it is that homes and buildings need to be constructed to withstand those future quakes, or built in areas away from such hotspots. Poor countries like Haiti must, at the very least, educate residents in ways to save their lives and the lives of their families in the event of an earthquake. Because of the island’s unique seismic structure, those planning Haiti’s rebuilding must also consider relocating key government and emergency facilities to safer areas away from Port-au-Prince. In Haiti, there is not much choice. The entire southern peninsula, including Port-au-Prince, hugs the Enriquillo fault line and is not safe. To the north, cutting through the Dominican Republic, lies the menacing Septentrional fault, the central part of which is overdue for a major quake. The safest region in which to build is between the two faults, in an area near the coastal port town of Saint-Marc. Though it may not be feasible, economically or otherwise, to relocate the entire capital city there, at least the government and medical facilities would be able to function in a major future earthquake. World political and banking leaders should consider this as they plan to spend billions of dollars to rebuild Haiti. The Haiti earthquake should be a wake-up call for the entire Caribbean and beyond. The very same Enriquillo-Plantain Garden Fault that cuts through Haiti continues through the seafloor and touches land again near Kingston, the port city and capital of Jamaica. In 1692, in an area near and south of Kingston, an earthquake destroyed the legendary port city and commercial center of Port Royal, one third of which sank into the sea. Across the Atlantic, I am now studying submarine faults that could potentially extend into Algiers, the port city and capital of Algeria. A lot of people forget earthquakes quickly and do not take the words of geologists seriously. But if your house is close to an active fault—as is the case for many living in Haiti, Chile, China, and many other parts of the world—it is best that you do not forget where you live. This research was funded by the U.S. Geological Survey and the Wheeler Fund for Ocean Science and Society at Woods Hole Oceanographic Institution. 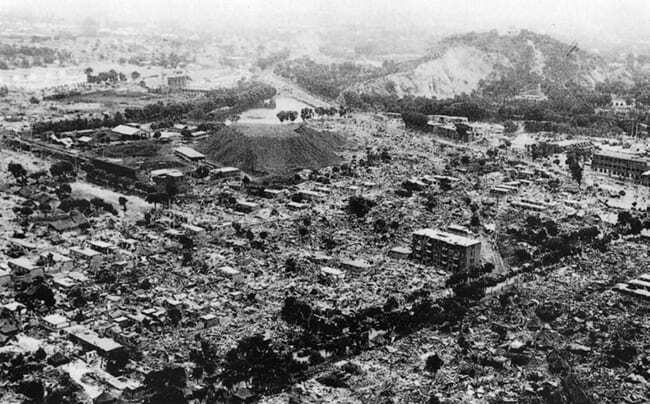 Some 230,000 people were killed in the Jan. 12, 2010, earthquake that struck Haiti (above), and more than 240,000 died in a 1976 earthquake in Tangshan, China, (below). Both cases demonstrated that the primary cause of deaths in earthquakes are poorly constructed buildings. It may seem like more earthquakes are occurring recently, but the global earthquake hazard has risen primarily because populations living in cities have risen so dramatically. More people are at risk in many other seismically vulnerable cities around the world. Tsunamis in the Caribbean? It's Possible.